Cereus peruvianus ‘Monstrosus’ is an incredibly unique specimen that grows taller than most any other succulent in a columnar form. As ‘Monstrosus’ grows more mature, it blooms (rarely) small white flowers that give way to orange to red fruit that look similar to an apple. Flowers only open at night however, and live for less than 24 hours before closing. 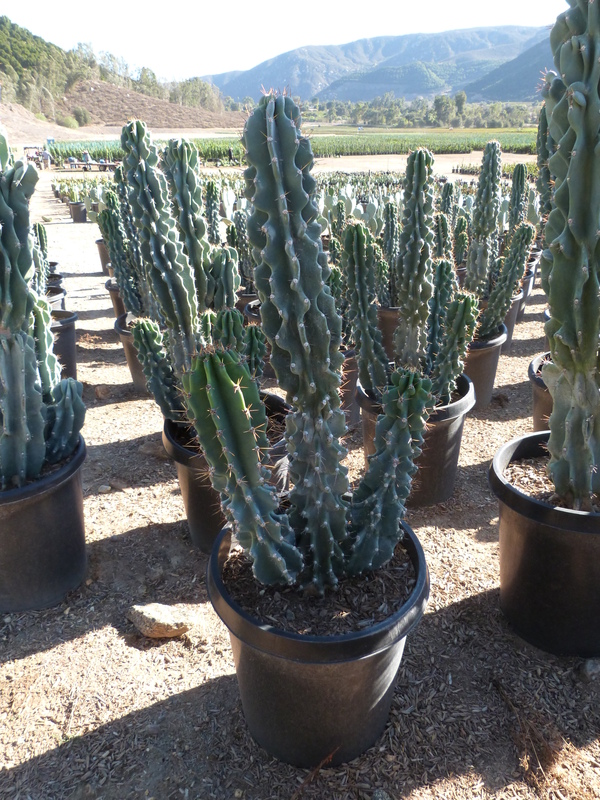 Because of its extensive taproot system and relatively no need for regular watering, Monstrose apple cactus can be planted in areas with little to no irrigation such as in desert style landscapes, medians and hot, arid climates. Plant in full sun and well draining soil to avoid root rot. Mealybugs and scale are only minor pest issues for this wonderfully low-maintenance plant.